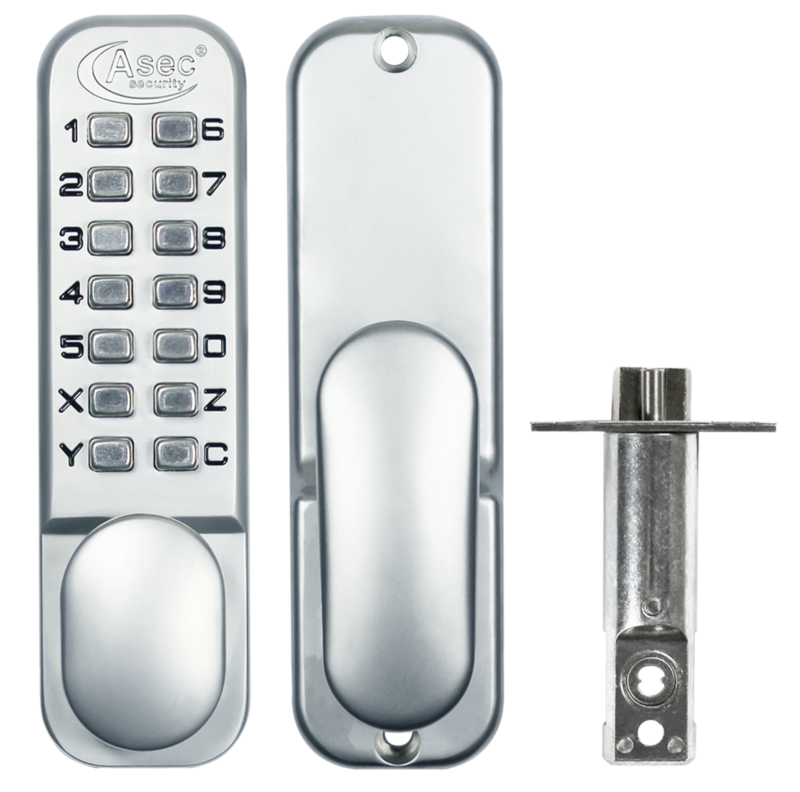 ASEC AS2300 Series Digital Lock With Optional Holdback Brass. 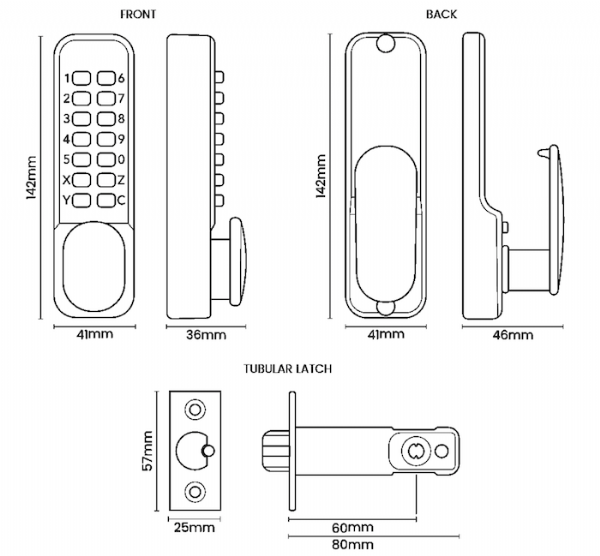 This Asec mechanical digital door lock from the AS2300 Series is a versatile and cost-effective way of restricting access to code holding personnel only. It has an optional hold open facility (the sliding switch can be reversed and used as a blanking plate if this facility is not required), the code is easy to change and it comes complete with a 5 year mechanical guarantee. This digital lock is supplied complete with a tubular latch (60mm backset) and is suitable for internal or external applications on doors between 35mm and 60mm thick. It is also available in a choice of finishes. “Works well for our office.